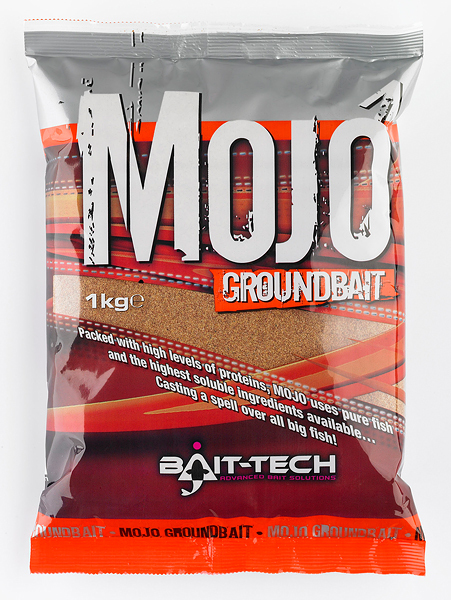 Groundbaits don't come any easier to mix than Bait-Tech's Mojo. Packed full of pure fish and the highest grade soluble fishmeals it's a tried and tested formula suitable for all styles of fishing. Mojo is still the most respected big fish stick mix, method mix and spod mix available. Its prowess extends beyond commercial waters too as it has become a staple choice for many specimen carp anglers' stick mixes where ultimate attraction is imperative. For lake fishing in a feeder, spodding or even as a paste it is a big fish attractor. Contains some unusual ingredients that fish love. Specifically suited to carp and other big fish fishing this mix will give you your Mojo back if your results are in need of a confidence boost! The record this bait has is truly unbelievable, a fine blend of brilliance, ask the lads in the know!